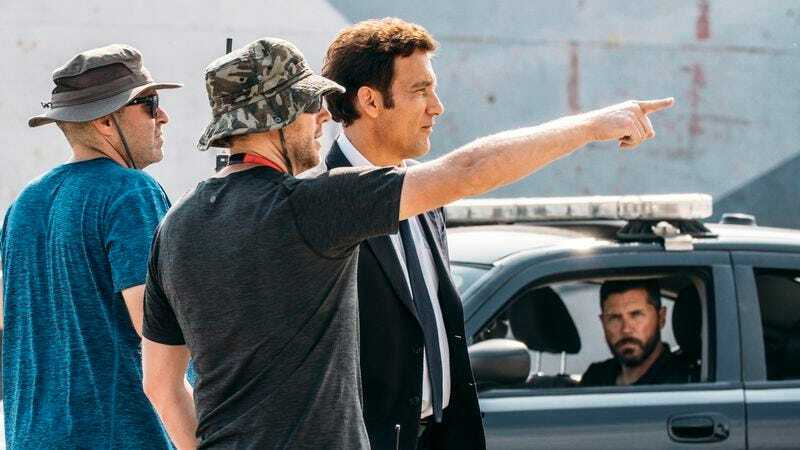 In the early 2000s, the German automaker BMW gave eight world-famous directors carte blanche to make lavishly expensive short films with the only apparent criteria being that they prominently feature BMW cars and star Clive Owen as a professional wheelman known only as The Driver. The resulting anthology series, The Hire, remains one of the most fondly remembered advertising campaigns of its time, notable both for the creative freedom it seemed to foster and for the amount of talent involved both in front of the camera and behind it. The good news is that BMW is resurrecting the concept. The bad news is that for now, it appears to be for just one film: The Escape, directed by Neill Blomkamp, the South African behind District 9, Elysium (which is basically District 9), and Chappie (which is basically Short Circuit meets District 9). Per the press release sent out by the revived BMW Films this morning, the film will debut online on Saturday, October 23 at BMWFilms.com. Owen will reprise his role as the Driver, with Dakota Fanning and Jon Bernthal rounding out the cast. Below is one of favorite shorts from the original series: The Follow, directed by Wong Kar-Wai, produced by David Fincher, written by Andrew Kevin Walker (Seven), and photographed by the late, great Harris Savides. Mickey Rourke and Forest Whitaker play, respectively, a movie star and his agent, who hire the Driver do some snooping; Adriana Lima is his target. All that for a car commercial.